The beautiful Choro Trek is probably the best known trekking of the Yungas area and maybe even the whole of Bolivia! 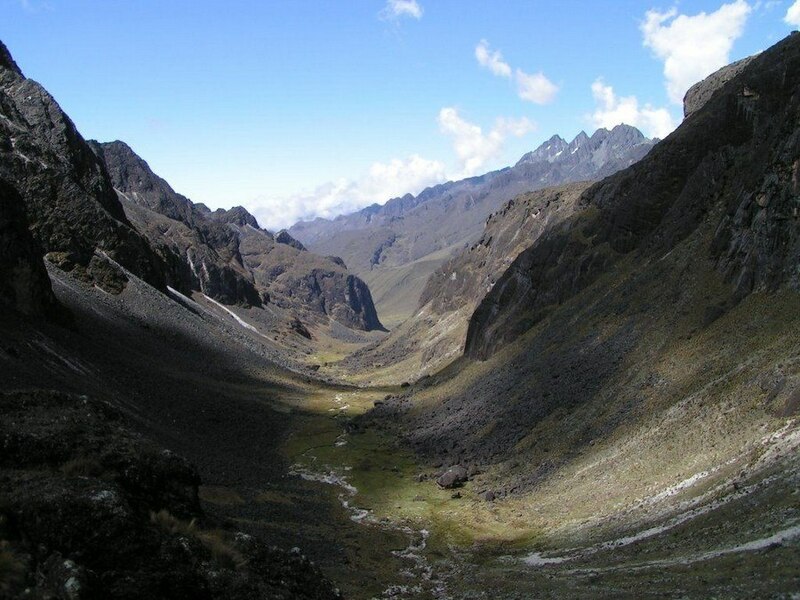 The spectacular descend starts from the cold, rough surroundings of La Cumbre at an altitude of around 4700 m. From La Cumbre you will hike for 3 days along a scenic trail full contrasting landscapes. 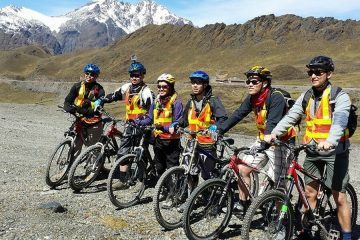 In total you will descent around 3210 m, until the trek finishes in Chairo at an altitude of 1490 m.
Early morning we leave La Paz by private transport. 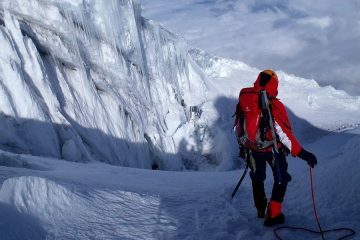 After about 2 hours we reach La Cumbre (4700 m). 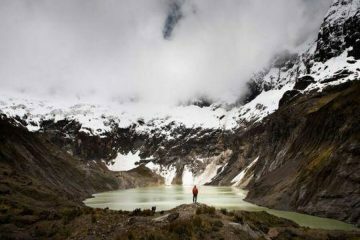 On a clear day you will have magnificent views over the Andes and the Cordillera Blanca Mountain Range! 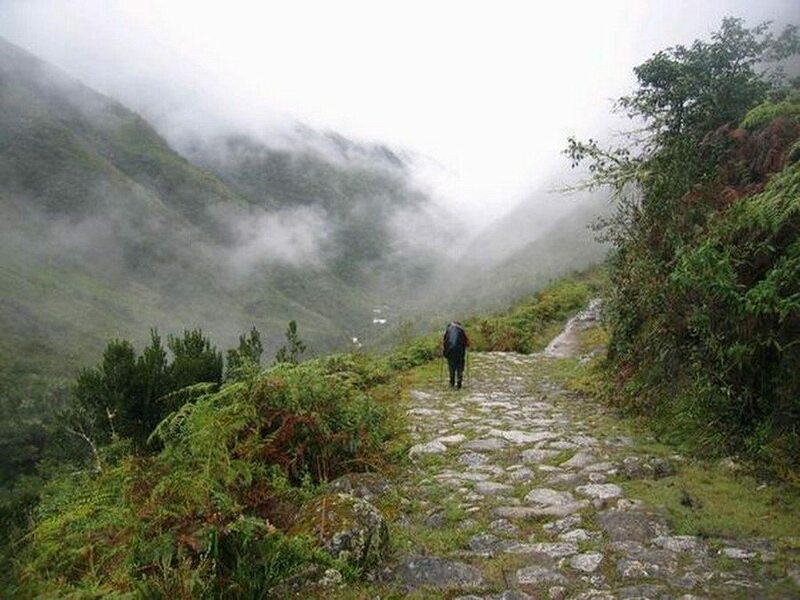 If the natural conditions allow it, it is even possible to get to the highest point at 4900 m.
From La Cumbre the Choro Trail goes zigzagging down, allowing a beautiful view of the environment, even though sometimes it part of it is under a layer of fog. After hiking for about 2 ½ hours, we arrive to Samañapampa, at 3980 m. Here all hikers must register (20 Bs). Please bring your passport. In a small kiosk we can buy cookies, food (snacks) and soft drinks. About an hour further we reach the town of Chucura, the biggest town in this valley at an altitude of 3700 m.
From Chucara it takes around 3/ 4 hours before we arrive to Challapampa where we will camp for the night. After a good breakfast we clean out our camp, make our backpacks and start hiking. 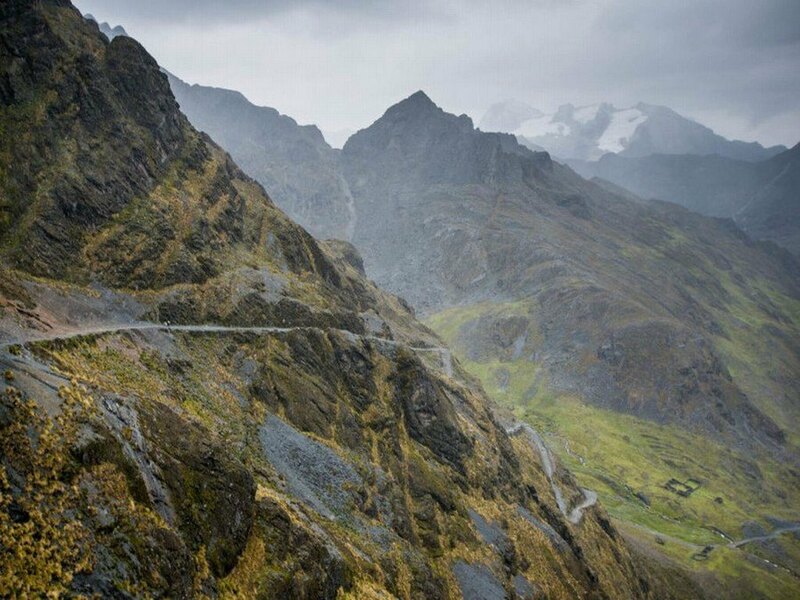 Today we will hike around 8 hours, mostly downhill, sometimes a little up, but always surrounded by impressive nature. Along the way the rough Andes nature slowly changes into a lushly green vegetation of the high tropics and the cold climate gets replaced by the warm humidity of the Yungas. 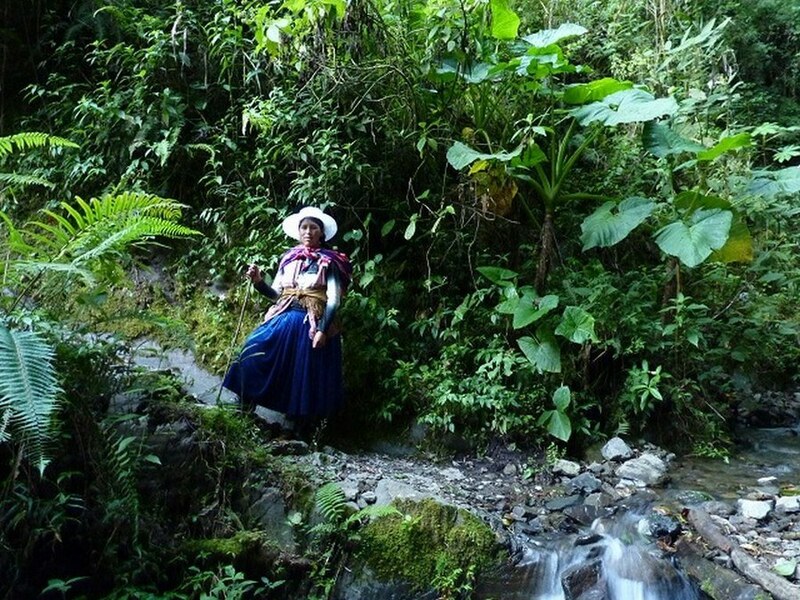 We’ll pass by several small waterfalls and take in breathtaking views of the inimitable Yungas Cloud Forest, a high-altitude rainforest surreally covered with clouds. 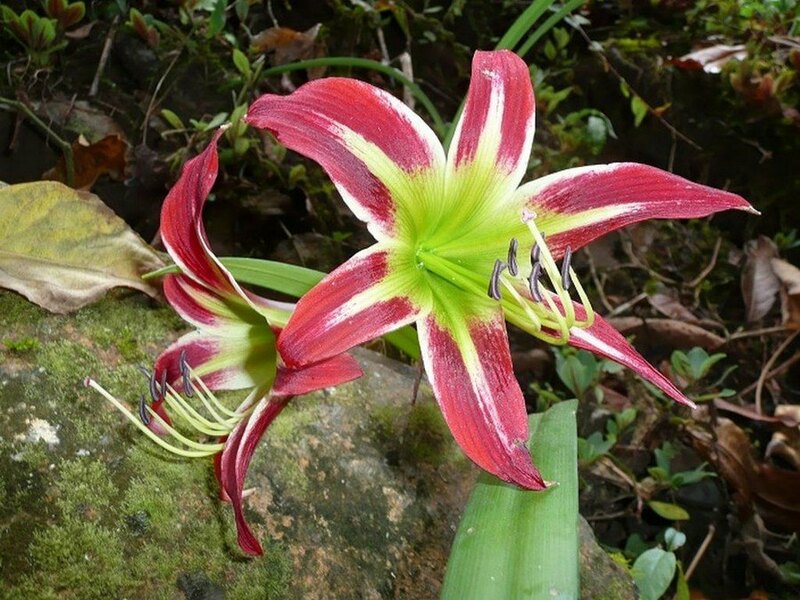 The cloud forest and high tropical forest of the Yungas are also the favorite habitat of many different species of hummingbirds. After entering the warm Yungas valley, we’ll set up our second camp in the little village of San Francisco. 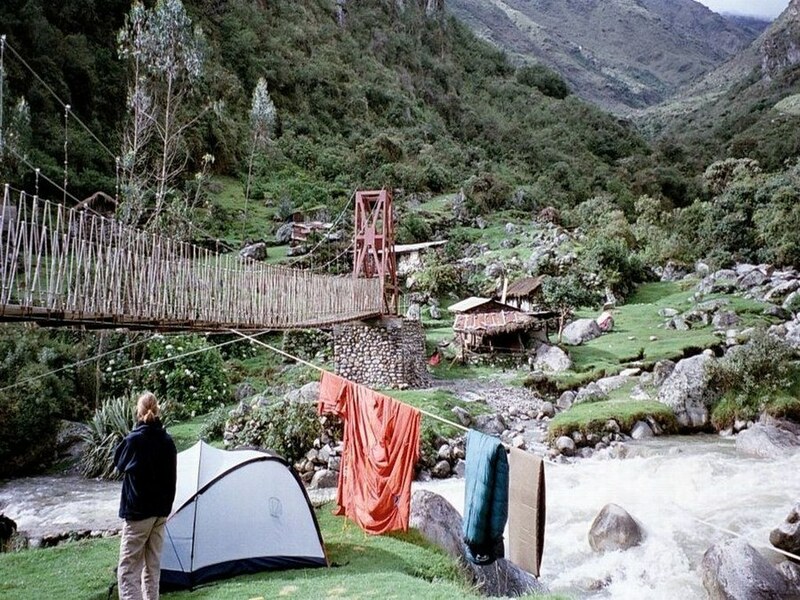 After a good breakfast in the beautiful nature of the Yungas we pack up our camp and start our hike descending to the river. From the river we ascend and descend the slope until, after about one and a half, we arrive to Sandillani (house of the Japanese), at 2100 m.
We lunch at Sandillani, before we start descending the ‘trial with many curves’ towards Chairo at 1490 m. From here our transport will bring us in about 1½ hour to the famous town of Coroico. In Coroico we have included a night in the well know Hotel Gloria, so you have time to get an impression of this interesting backpackers town between the Andes and the Amazon. And of course it is also nice to have a last drink with your group members to celebrate that you accomplice the Choro Trail. 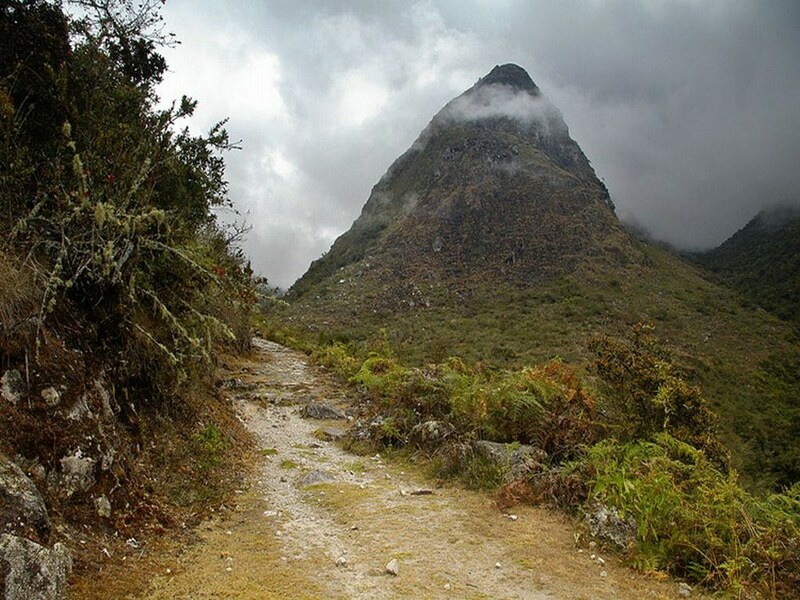 Today you travel in about 4 hours by public bus from Coroico to La Paz. Note: The itinerary of the tour above depends on local circumstances and weather conditions and might be slightly different as described.